Kanuka essential oil came from Kanuka tree, also known as Leptospermum Ericoides, which is primarily grown in New Zealand. This country is rich in virgin forests where trees are naturally grown, thus the essential oil these trees produce are pure and healthy as well. The Kanuka tree itself has many health benefits and can treat certain disorders, especially its bark and leaves, and are commonly used by the local Maori folks of New Zealand and early European residents. Learn more about Kanuka Essential Oil or find a great deal on the best selling Kanuka Oil from the items below! 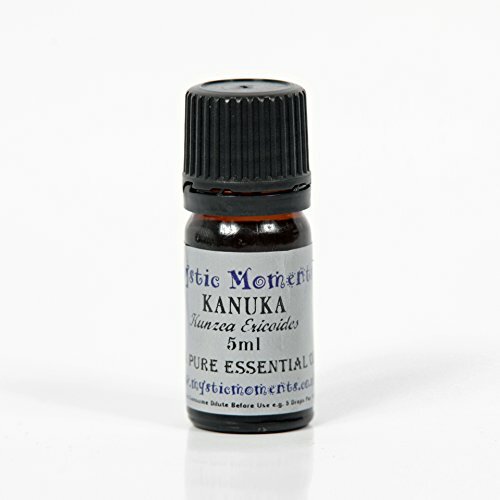 Pure Kanuka Essential Oil 10 ml. Extracted from the leaves of the New Zealand tree Kunzea ericoides, Kanuka Oil is an ancient Maori oil. Leaves are hand-harvested from sustainable stands on the East Cape region of New Zealand. Kanuka was used originally by the Maori people of New Zealand to proetct the skin and to promote calmness and sleep. Kanuka essential oil has a pleasant perfume. Kanuka essential oil 5ml - 100% pure. plant part: leaves and stems. extraction method: steam distilled . 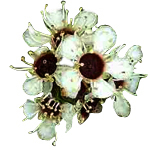 kanuka oil is extracted from the white tea tree. Kanuka Essential Oil 50ml - 100% Pure Plant Part: Leaves and stems Extraction Method: Steam Distilled Kanuka Oil is extracted from the white Tea Tree. Manuka Oil - Kanuka Oil Blend 10ml/0.34fl.oz. The Coromandel Mountains Tea Tree Oil Company is located in the Coromandel Peninsula, overlooking Mercury Bay, on the New Zealand North Island. This 360-acre farm has been certified by BioGro NZ. This product combines essential oils extracted from Manuka (Leptospermum scoparium) and Kanuka (Kunzea ericoides) treest. Although labeled "tea tree oil" this product should not be confused with Australian tea tree oil, which is extracted from Melaleuca alternifolia and has considerably higher levels of contaminants. To make this oil, manuka and kanuka leaves from trees grown in the wild are carefully pruned by hand, allowing for a 2-4 year gap to allow the plant to recover. Stems are carefully avoided and no machines are used during the process. This is important because oils from stems and mechanic lubricants could contaminate the resulting oil, as it happens often with Australian Tea Tree oil. This oil is then extracted using low-temperature steam distillation, which preserves the integrity of all components. It takes on average one ton of pruned leaf to produce one liter of oil. In essence, the process is the same as what the Maori were using when Captain Cook anchored in Mercury Bay in 1769. Koru Naturals is proud to import these excellent products to the U.S.
Kanuka Essential Oil 100ml - 100% Pure Plant Part: Leaves and stems Extraction Method: Steam Distilled Kanuka Oil is extracted from the white Tea Tree. Kanuka Oil by SomaTherapy 0.5oz. Kunzea ericoides - A small bushy tree with pointed leaves on full branches. Kanuka is a plant indigenous to New Zealand. / Extraction: By steam distillation. The oil is 100% pure and natural with no additives. / Benefits: Kanuka was used originally by the Maori people of New Zealand for pain and inflammation relief, skin diseases, and to promote calmness and sleep. 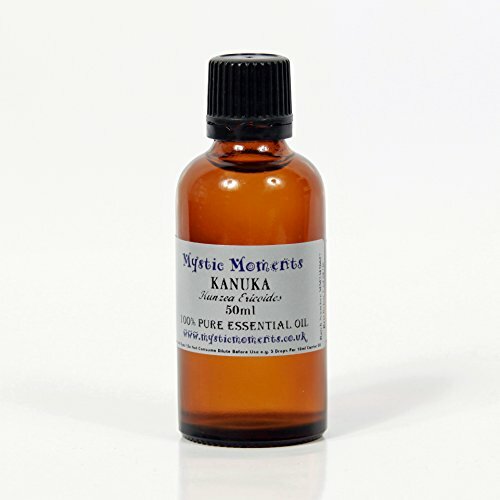 Kanuka essential oil is anti-bacterial, anti-fungal, anti-inflammatory and a pleasant perfume. / Uses: For the relief of swelling and muscular pain, for sprains, strains and sports injuries. Helps clear inflammation. Use as a skin tonic and for relaxation. / Safety: Kanuka is a strong oil and should be diluted in a carrier oil - no more than 2 drops per tsp. Use at very low strength with children as it may irritate their skin. / Available in 5ml, 10ml, _oz, 1oz, 2oz, 4oz, 8oz, 16oz, 32oz, and 1 Gal. Melora Kanuka Oil in Almond Oil contains 5% pure Kanuka oil. Kanuka oil was used by Maori people as tea tree oil for its anti-worm, anti-bacterial and insecticidal properties. Maori also used pounded kanuka seed capsules to make a poultice (dressing) for running sores. 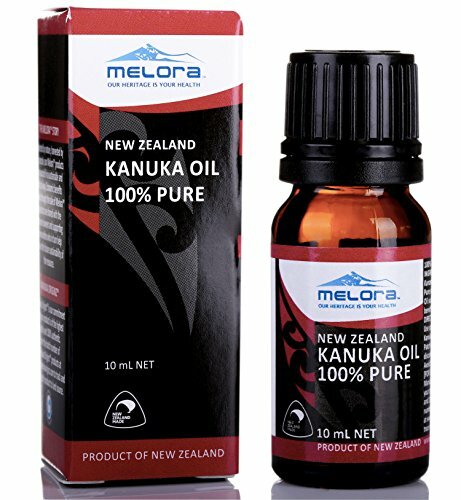 Kanuka is a plant indigenous to New Zealand and the oil is extracted by a steam distillation process. This pure Kanuka oil is then mixed with 95% almond oil which makes the perfect premix blend. Kanuka has been used for generations by New Zealand's indigenous Maori people. 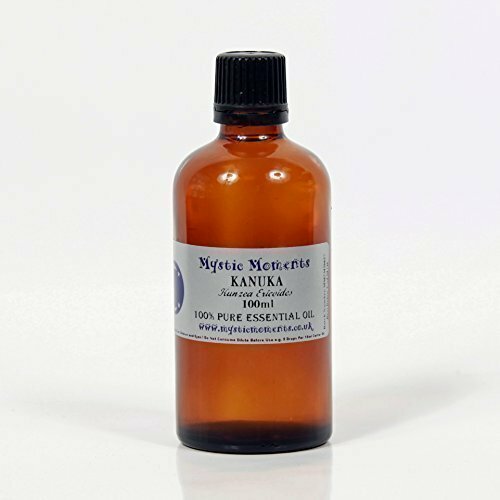 Kanuka essential oil is anti-fungal, anti-inflammatory and has a pleasant scent. Highlights:Kanuka Oil is proven to be effective for muscle aches and cramps, warts, insect bites and stings, odour eliminator and eczema aggravated by bacterial or fungal infectionsKanuka Oil can also be used as part of your everyday health and beauty regime as bath drops ? to ease those aches and pains; with cotton buds ? for spot applications and with massage oil ? for a full body cleanseCan be used in aromatherapy as an antiseptic, for muscular discomfort, to relax skin, as an ingredient for perfume, for calmness and sleepCan also be used in cosmetics as an ingredient in soaps, creams and shampoosBlended with Almond Oil as an easy to use premixMelora is a diverse and unique range of Manuka honey and oil products sustainably and ethically sourced from remote coastal regions of New Zealand. Melora products bring together a unique blend of cultural heritage and modern technology to deliver a range of natural, Manuka-based products for health and well-being.Melora products draw on the knowledge of New Zealand?s Maori people, who have used Manuka in their traditional medicine for centuries, together with the development of modern research and clinical study. 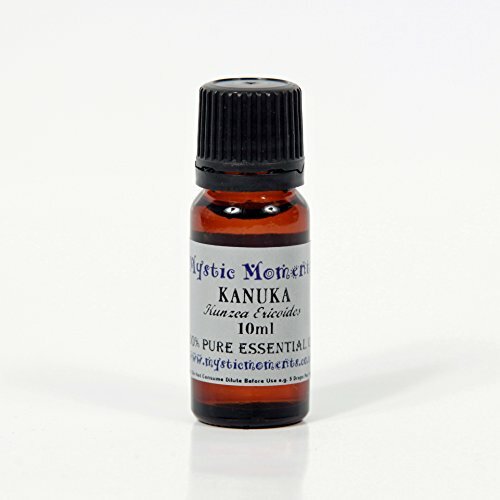 Kanuka essential oil 10ml - 100% pure. plant part: leaves and stems. extraction method: steam distilled . kanuka oil is extracted from the white tea tree.